See more objects with the tag floral, women's fashion accessories, personal environmental control, personal adornment, tassels, garlands, bows, swags, pleats. See more objects with the color rosybrown dimgrey tan darkolivegreen lightgrey or see all the colors for this object. This is a Folding fan and case. It is dated 1790–1800 and we acquired it in 1926. Its medium is painted paper leaf with applied sequins, carved and pierced bone sticks. It is a part of the Textiles department. 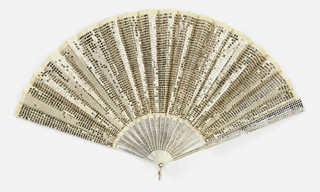 This finely painted paper fan exemplifies the simpler styles of the Directoire period and the effects of the French Revolution in 1789. The period 1789-1800 is characterized by a radical change in fashion: the excesses of the pre-revolutionary period were rejected for simpler designs and humbler materials. 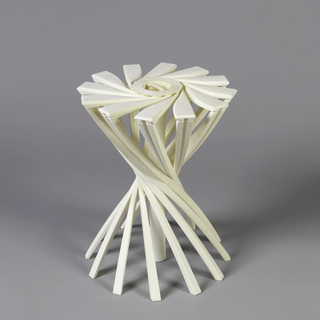 Earlier 18th century fans were elaborate in design and often made of expensive materials, such as ivory sticks with vellum leaves. During the Directoire period, many costly materials were no longer available due to political disruptions. Fans predominantly were made out of less expensive bone sticks and paper leaves. The neoclassical swag design hand painted in gouache and the use of pastel colors is also typical of the period. The unadorned composition of the leaf, incorporating substantial blank space, relates to the simple and classical costume of period. The only embellishments are the applied metallic sequins that follow the lines of the swags and bows. 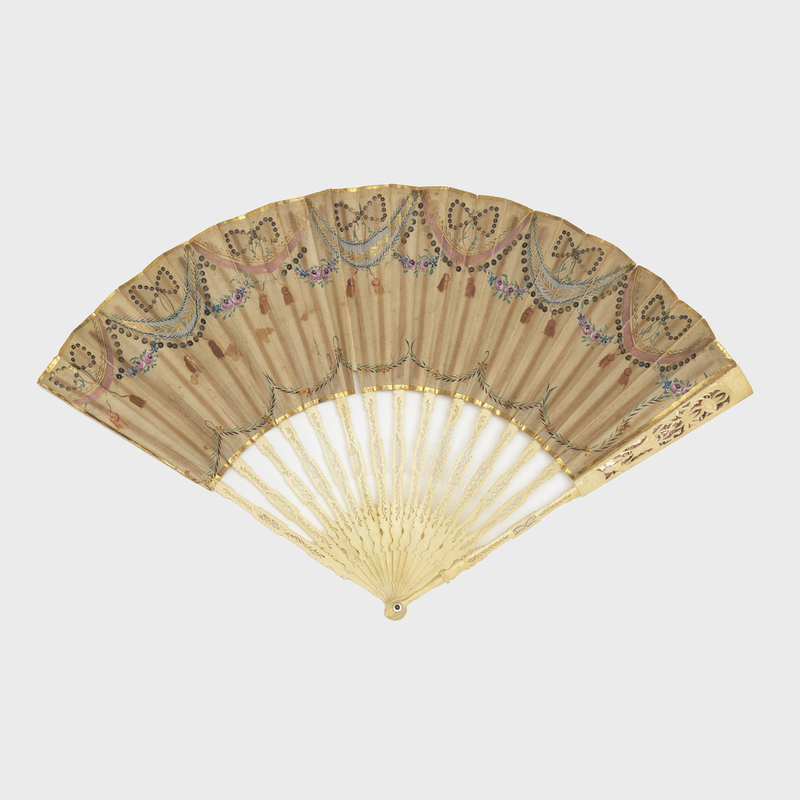 This object was featured in our Object of the Day series in a post titled A Fan of the Directoire Period.